Therapy can help resolve a wide variety of problems. There is no single reason that a person seeks counseling. Therapists like me help others cope with common problems that can arise in one’s life. Through therapy, those who are willing to invest time and effort can see positive changes in all areas of their life. Depression, anxiety or stress related to work, home life, family or friends. Most people have problems with depression, anxiety or stress at some point or another in their lives. Problems tend to arise when life becomes overwhelming or starts to interfere with your ability to stay focused in all areas of your life. This often manifests itself as depression, anxiety or feeling tense. 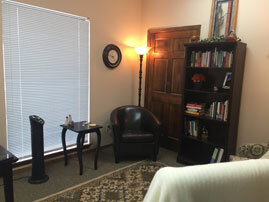 In therapy, we will explore various coping skills together to help manage your depression, anxiety or stress. Sometimes the ability to discuss the problem in a non-judgmental environment or to have someone to share the story with may help combat the feeling of being overwhelmed. Children, adolescents and teenagers often find themselves and their lives changing rapidly. Growing up is often filled with new challenges and critical moments. Parents usually seek counseling for their children/adolescents/teenagers related to changes in attitude, diminishing school performance, concerning social behaviors, experimenting with drugs or alcohol, unhealthy relationships, poor parent-child relationship and other concerns. In counseling children/adolescents/teenagers often find having a private setting in which to discuss issues with a non-parent adult figure very reassuring, valuable, and comforting. Parents will benefit from this arrangement as they can rest assured that sound judgment is being offered within the therapeutic setting, as opposed to their peers. Adjusting to a change in life, including grief after the loss of a loved one or loss of a life-long dream. A short period of grief after a loss or a major change in life is a normal response. However, when these feelings persist or following a particularly profound loss or change, seeking professional help should be the next step. Parenting issues, when you feel that your child is more in control than you are or you cannot get your child to listen to you. As a parent I can understand the frustrations and challenges of parenting. As a trained professional counselor, I can assist in finding strategies to help heal the relationship. As parents, we want the best for our children, but often our children see us as controlling, interfering and annoying. Together, we can work on solutions and a plan to deal with each challenge in your relationship with your child/adolescent/teenager/college student. An initial assessment in which we jointly set goals and form a plan. Identification and prioritization of trouble areas. Guided instruction and review of techniques appropriate to the relevant issues. Specific tasks to help outside of counseling sessions. Counseling sessions are also an open forum to discuss any pressing issues. Fees: Based on a sliding scale and some insurance plans are accepted. Call 314-609-6772 or email me at kop@counselorkatelpc.com to make an appointment.